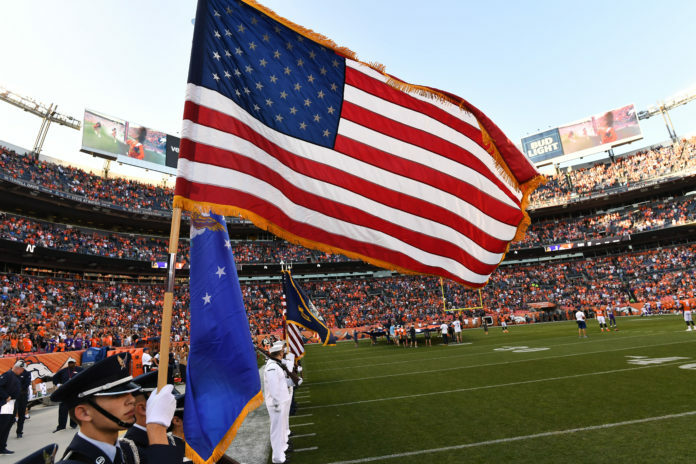 On Tuesday, the Denver Broncos will host “USAA’s Salute to Service NFL Boot Camp” for 55 active duty military members at UCHealth Training Center’s Pat Bowlen Fieldhouse. The camp provides the guests with a real-life experience that is similar to the drills that players go through at the NFL Combine. 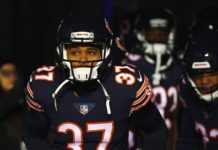 According to a press release from the team, Following the boot camp, military members will enjoy a VIP hospitality area to watch Broncos practice. 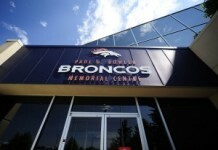 Broncos alumni, Broncos Cheerleaders and Miles the Mascot will all be in attendance throughout the morning. “USAA’s Salute to Service NFL Boot Camp” has been — and will be — hosted by teams around the NFL and represents the evolution of military appreciation events that USAA and the Broncos have created to foster an understanding and appreciation for the local military community. Military bases and units represented at the event will include service members from the United States Army, Air Force and Navy. 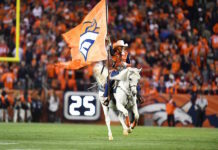 USAA holds the designation of Official Salute to Service Partner of the Denver Broncos.